Two studies published this month in the Journal of Clinical Investigation provide a significant advance in understanding how some species of monkeys such as sooty mangabeys and African green monkeys avoid AIDS when infected with SIV, the simian equivalent of HIV. Using comparative genomics of SIV infection, researchers at the University of Pennsylvania School of Medicine, with collaborators from University of Minnesota, the University of Toronto, and Emory University, looked at sooty mangabeys, and a second group at the Pasteur Institute in France, looked at African green monkeys to identify possible genes related to disease progression or resistance. "Sooty mangabeys are able to rapidly shut down the immune response after the initial SIV infection, and remain healthy. 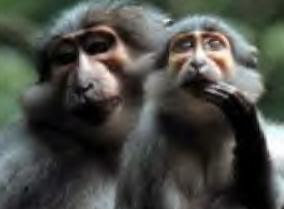 The mangabeys respond to SIV in a manner similar to rhesus macaques, which get sick, or to humans infected with HIV, but the mangabeys do not get sick," says first author Steven E. Bosinger, PhD , a postdoctoral fellow in the Department of Pathology and Laboratory Medicine.